We make birthdays a big deal in our house. It’s the one day a year that is solely for our kids. If you have a little one in your life, you can make this cupcake and candle applique crochet pattern to help celebrate that big day. 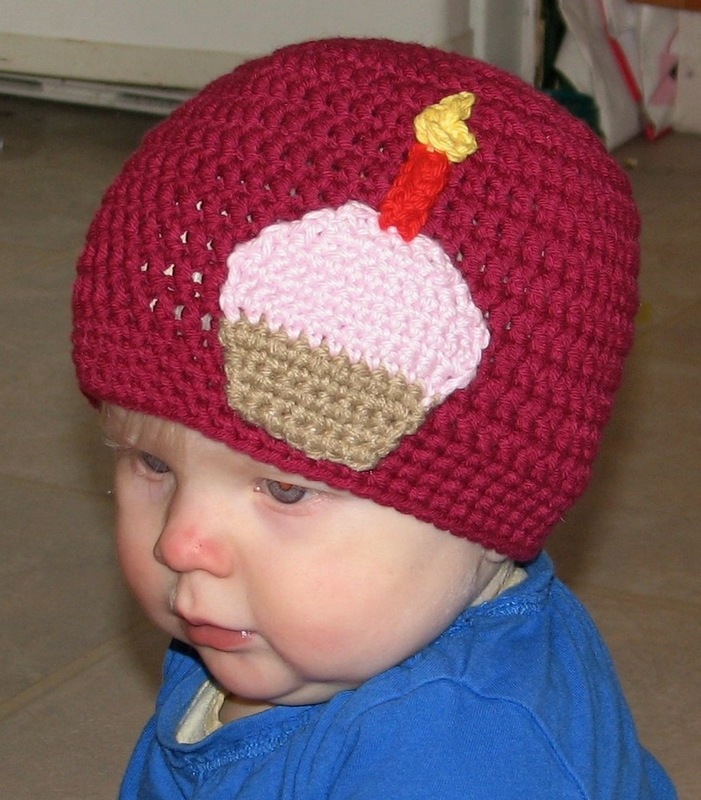 Just add this cupcake & candle to your little one’s favorite hat. Using G hook and tan yarn, ch 8. Using H hook, ch 6. Sc in 2nd ch from hook and in each chain across. Fasten off. Using G hook, ch 3. Sc in 2nd ch from hook, 5sc in next ch. Fasten off. Sew candle and flame to cupcake.